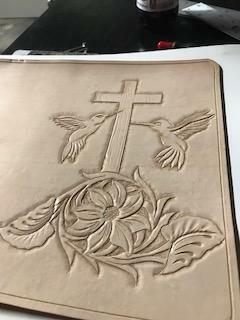 My wife has been wanting me to make a bible cover since I started dabbling in leather about a year ago. I wanted to do something special, so I decided to try to carve this image on the cover. Not bad for a first attempt I reckon. But I would like to have smoother more precise beveling. P.S. this is my first project post here so any constructive comments would be appreciated. That is a wonderful first effort. You can actually tell what it is, instead of it looking like a bunch of smashed impressions. On that beveling note. I know a lot of people use a casing solution. It involves some soap and allows the tools to glide a little easier. Maybe @YinTx could chime in on that? Thanks @bikermutt07, and @Stetson912 for the kind words and advice. 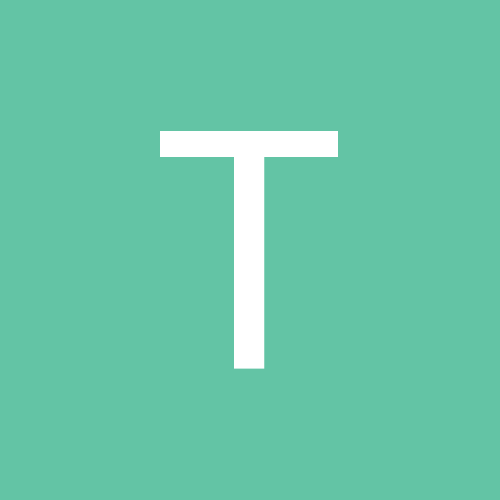 I have heard about some kind of casing solutions but didn’t know if they worked. I will try one after a little research. If anyone has any recommendations on them I would appreciate it. Going to work on back of cover soon. and perhaps other threads as well. I'm no expert, but your Tooling looks pretty good for a first go!